The Killa Kan was a christmas present from my son (he was only four months old at the time). Putting it together was relatively easy (even without instructions), though make sure your superglue is relatively fresh. The difficult decision for me was where to put the buzzsaw, did I put it high or not, the main issues with high was that it looked better, but would be difficult to store, in the end I compromised! 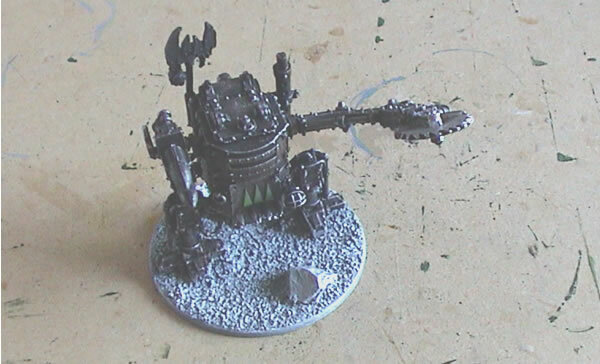 I used the original "flat" bases, though I know that there is now a slottbase style for this size base now. He was given a black undercoat. 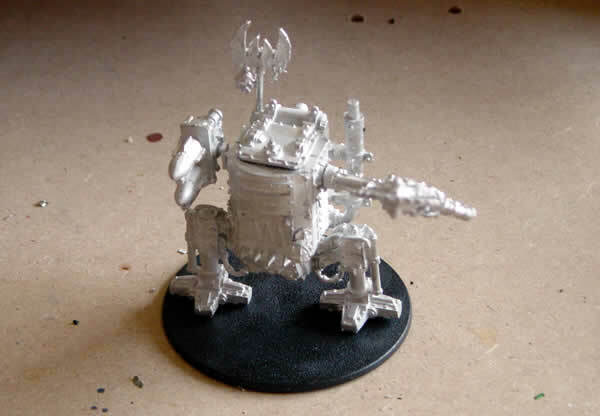 This is now as far have I got with the Killa Kan. 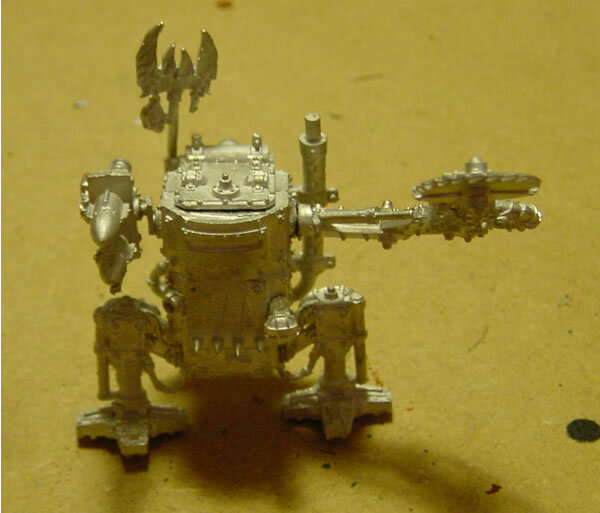 I have now added another Killa Kan to the Ork force. 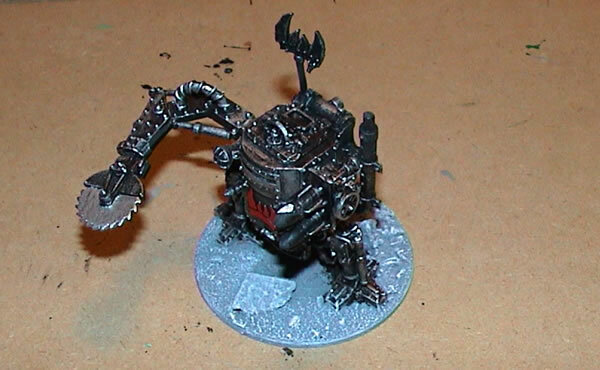 With this model I put the dreadnought weapon on the right arm and the rokkit launcha on the left. It needs a little tidying up but is nearly finished. 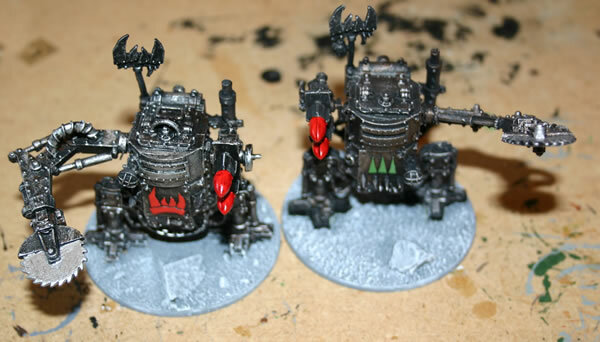 Though I have played a few games with my Killa Kans I have taken them back into the paintshop and added some more details. Here they are on the battlefield.